Species360 members, which include nearly 1,200 aquatic, zoo, and conservation organizations worldwide, have elected Moscow Zoo CEO Svetlana Akulova, The Florida Aquarium CEO Roger Germann, and California Academy of Sciences – Steinhart Aquarium senior director Bart Shepard to the Species360 Board of Trustees. “This is a critical time for global collaboration in species conservation and animal welfare, and we are grateful for the leadership that Svetlana, Roger, and Bart bring to our work,” said Jim Guenter, CEO, Species360. Non-profit Species360 is governed by its board of trustees, which helps to drive its mission to improve the care and welfare of animals and inform species conservation efforts worldwide. Here is more information on the three new Species360 member-elected trustees. The complete Species360 Board of Trustees includes more than 20 representatives from aquarium and zoo institutions, international associations, and conservation leaders around the world. Since joining Moscow Zoo in 2013, Svetlana Akulova’s vision and leadership have elevated the institution to become a leading international environmental and education center. Under her leadership, the Moscow Zoo recently completed one of the largest reconstruction projects in its history, opened its new Children’s Zoo, and established the Academy of Moscow Zoo as a licensed education and professional development of zoo staff and specialists. Akulova represents Moscow in the European Association of Zoos and Aquariums (EAZA) and has helped to lead the establishment of the Russian Union of Zoos and Aquariums (RUZA), an association that facilitates collaboration among about 40 zoos and aquariums throughout Russia. Recently named one of North America’s top three aquariums by USA Today, The Florida Aquarium is achieving new recognition under the leadership of CEO Roger Germann and in 2018 completed construction of its new Heart of the Sea exhibit with more than 400 species. 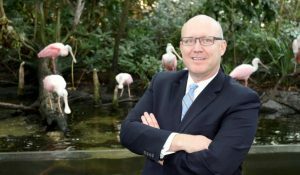 Previously, Germann served as Executive Vice President for the world-renowned John G. Shedd Aquarium in Chicago for more than 16 years. During his tenure, the aquarium became one of the nation’s most profitable and impactful aquariums and became a globally recognized brand. Germann founded national strategic consulting firm Four Lions Strategies and has served in several national leadership positions, including serving as chair of the Association of Zoos and Aquariums (AZA) Aquarium Affairs Committee, as member of the AZA SAFE Steering Committee, and as a founding member of the Aquarium Conservation Partnership. As Senior Director of the California Academy of Sciences’ Steinhart Aquarium, Bart Shepherd oversees plant and animal care and welfare, the veterinarian and animal health teams, and the Academy’s robust scientific diving program. Shepherd is an expert in coral propagation and serves as co-director of the Academy’s Hope for Reefs initiative, which aims to reverse the potential collapse of global coral reefs by studying little-known ecosystems and advancing the science of coral reef restoration. Shepherd is Vice-Chair of the board of SECORE International (SExual COral REproduction), where he works with teams of biologists around the world to collect and fertilize gametes from endangered species of wild coral for reef restoration, research on larval biology, and educational outreach through public aquarium displays. 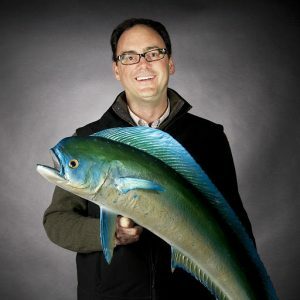 Shepherd has served on the steering committee for the Association of Zoos and Aquariums (AZA) Marine Fish Taxon Advisory Group, and is a member of the AZA Aquarium Affairs Committee.